Thursday, September 27: crypto markets continue to rise as the crypto and blockchain industry is seeing some support from governmental and institutional entities. Following a sell-off that started on September 24, crypto markets are seeing the second day of a rebound, with daily trade volume now amounting to more than $16 billion. All but two top 20 cryptocurrencies by market capitalization have seen firm growth over the past 24 hours, following a slight price stagnation within the day and surging sharply within the past few hours. Bitcoin (BTC) is up around 2.82 percent over 24 hours period, and trading at $6,679 at press time. The top cryptocurrency has overtaken two support levels within the day, seeing a sharp increase from an intraday average trading price of $6,500 to above $6,700. With that, Bitcoin is still down over 3 percent over the past 30 days. Ethereum (ETH) is seeing more gains over the day, trading at $228 at press time. According to Cointelegraph Ethereum Price Index, the altcoin is up more than 6 percent over the past 24 hours at press time, and over 2 percent on the week. The third top cryptocurrency, Ripple (XRP), is up 3.98 percent over the 24 hour period, and is trading at $0.54 at press time. Following skyrocketing growth on the week, the altcoin is up almost 60 percent over the past month. Crypto markets have seen a sharp rebound with total market cap bouncing back above $220 billion within just a few hours. At press time, total crypto market capitalization is $224 billion, with an intraday low of $212.9 billion. While total market capitalization continues to grow, Bitcoin’s dominance in the markets has declined slightly, seeing a decrease from over 53 percent of market share a week ago to 51.8 at press time. Litecoin (LTC) and Bitcoin Cash (BCH) are seeing the biggest gains over the past 24 hours among the top 20 cryptocurrencies by market cap. According to CoinMarketCap, LTC is seeing the most growth, at 9.27 percent, trading at $63.00 as of press time. Bitcoin Cash, which saw significant gains yesterday, is up 9.12 percent, trading at around $565.40 at press time. Today, Goldman Sachs, one of the largest investment banks in the U.S., led a $25 million strategic funding round for blockchain payments platform Veem. The company has recently denied rumors about unconfirmed plans to set up ts own crypto trading desk. 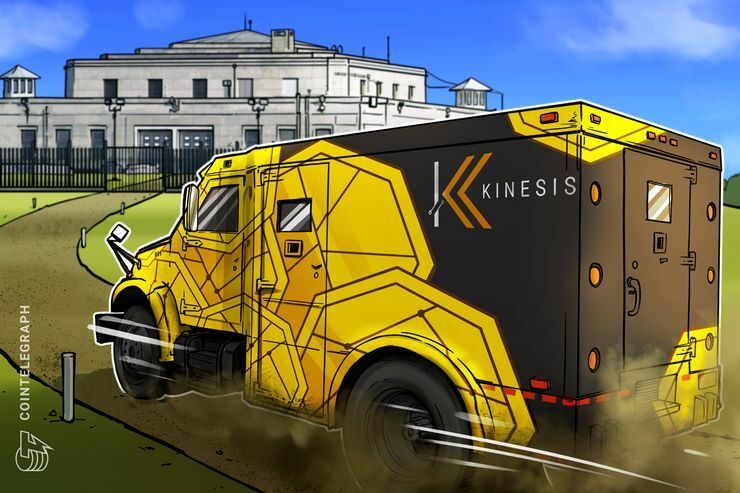 Yesterday, Cointelegraph reported that Switzerland-based firm SEBA Crypto AG has raised 100 million Swiss francs ($103 million) to set up a bank offering crypto-related services. On September 25, Austrian local media revealed that the government is planning to to issue €1.15 billion ($1.35 billion) of state bonds on the Ethereum blockchain in an auction next week. The auction, scheduled for Oct. 2, will be conducted by one of the Austria’s biggest banks on behalf of the the Austrian Treasury (OeBFA).